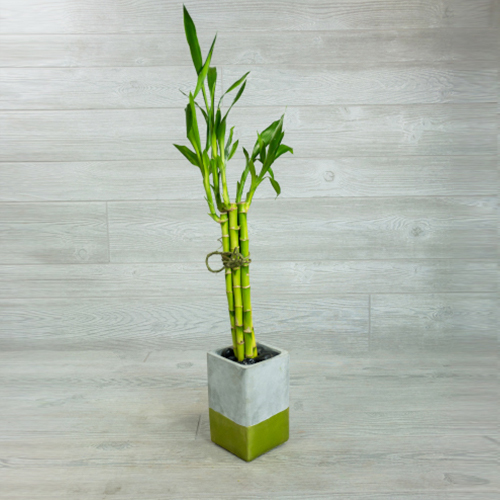 As a household plant, the lucky bamboo is known to increase positive feng shui. According to Chinese traditions, the number of stalks represents different variations of balance. In this arrangement - 5 stalks represents the areas of life that impact wealth. Live long and prosper.